Looking for the best mountain biking in NYC? The city's a solid, if underrated, starting point for beginners and those familiar with the sport. Hundreds of miles of forested trails wind their way through and around New York City. If you’re looking for equipment, a decent mountain bike can be found at your local rental shop. Looking to get from point A to B? The city offers transit options if you’re on two wheels, and car rentals are abound if you want to make it a day trip. Now that those problems are solved... let's ride! To learn everything we could about MTB, we enlisted the help of our friend Bostjan Brzin – local outdoor guide at Bike Hike Tours here in NYC. He’s an experienced mountain biker who’s ridden the best trails the world, and currently guides here in the city and the Northeast. New to Mountain Biking in NYC? Here’s our Advice. A recipe for mountain biking: Fill a car with bikes and people! Local clubs and parks departments created these great parks specifically for the MTB community. Respect local ecology and trail regulations to avoid causing damage to the surrounding environments. City regulations also prevent mountain biking on unauthorized trails, so educate yourself on local rules, or ask a professional at your local bike shop. Transit authorities set the rules for when bicycles are appropriate on trains, busses, and other methods of travel. You’re like to get a side-eye during rush hour at least, or a denial of services as worst if conductors or drivers feel your bike will be an obstruction. Read up on the MTA and Metro-North’s thoughts and regulations regarding bikes, as the latter requires one-time $5 bike pass. Mountain biking can be a danger-filled sport – part of its appeal. Ease into it. You’ll learn to read obstacles, manage momentum with your body and brakes, and protect that glorious bod. If you have an opportunity to go on a guided ride, or book individual lessons, be up front with your guide about your experience level. Remember the freedom of riding around your hood as a kid? Mountain biking as an adult gives you a similar feeling. It can be a difficult sport, but rewards you greatly as you advance. Don’t forget to take in the sights, smells, and sounds that come with New York’s beautiful parks and surrounding towns. Where to Mountain Bike near NYC? Enough chit-chat… here are our favorite spots to ride in NYC and beyond! Staten Island deserves more love. It’s placid, small-town almost, and enjoys more of its original woodlands than than any other borough. 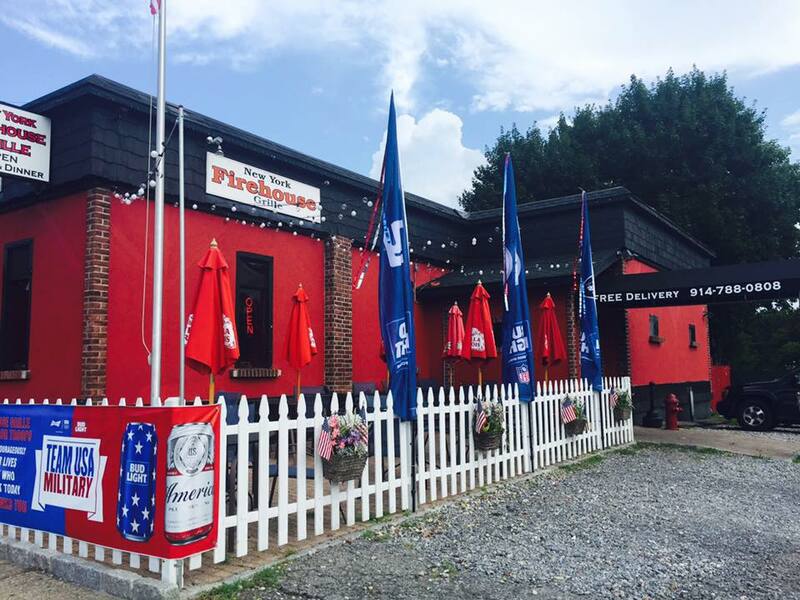 It played a key role in the Revolutionary War, and supposedly has the city’s best pizza. Wolfe’s Pond Park, set on the island’s southeast, is halved by Hyland Blvd. The park’s southern half boasts a nice beachfront and namesake pond, while the northern half holds the majority of the MTB trail we rode that morning. We pulled off of Seguine Ave. onto tiny Herbert St., which is nothing more than a bend. At the end was a small parking lot where we geared up. Walking into the trees, we spotted a “dirt park” with small jumps as we walked up. Mountain biking’s premise is to do battle against the trail, often for miles and uphill –but a jump was a jump. Bostjan swung around the park’s corners and launched over them with his full suspension bike. The leaf-littered ground made the main trail difficult to find, so Bostjan cruised around to find a defined path. We were out early in the season, but it the trailhead could have been marked more clearly. It turned out there were two trail entries at the northern end of the park – immediately south of the jump park, and where Herbert St. bends towards the parking lot. Wolfe’s Pond has around four miles of trail from top to bottom. Bostjan mentioned the park’s variety of terrain would keep a beginner busy learning over the course of a summer. After hopping some roots and clearing downed branches, we did our own branching to explore the park’s intermediate to expert level tracks. We watched as Bostjan tackled a sizable downhill portion, and we made mental notes as he gave us technical tips on handling soft soil and loose rock. The park has something for all skill and equipment levels, but you’ll want to stay sharp – some trails lead to unexpected technical surprises. Make it day by heading down to the beach, or visiting Seguine Mansion Museum for a spot of local history. Take the Staten Island Ferry to St. George Terminal, then take the Staten Island Railroad south to Prince’s Bay. Head over the Verrazano-Narrows Bridge and hop off 278 at exit 13A. Take Richmond Road south to Amboy Rd and look for Seguine Ave.
Off Seguine Ave look for Herbert St. There's a small parking lot a block from a trailhead. 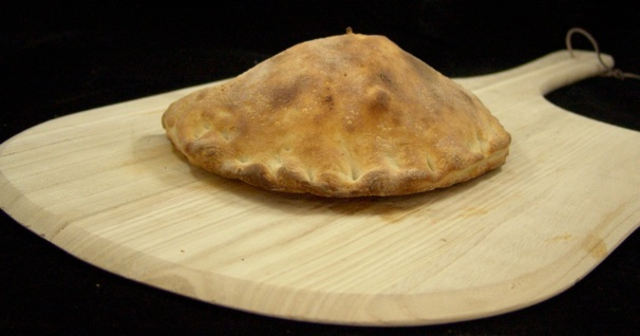 Grab a Staten Island slice or some baked ravioli. Big burgers and other American fare with unique flavor combinations. Solid drink menu. Mountain bike rental opportunities in SI are few. NYC Bicycle Shop carries hardtails at $15 first hour, and $5/hr after; 1178 Bay Street, Staten Island; (718) 569-0333. 718 Cyclery is our goto for full suspension bikes. Great guys with a wide selection for your needs. 254 3rd Ave, Gowanus; (347) 457-5760. Fort George Hill, on the northernmost tip of Highbridge Park, also has a rebellious history. The hill’s namesake fort was built in 1776 to defend Manhattan’s Harlem River entry. We parked at the hilltop on Fort George Hill Ave. and spotted a busy dirt park, next to basketball courts and ball fields. Clearly marked signs and trail maps confirmed we found the spot. Thanks to NYC Parks, the old hill’s still got it. Highbridge offers a few miles of quality singletrack – routes safely passable by only one bike. Aside from the hilltop entrance, you can link to the starter trails on Dyckman St. at the bottom of the hill. If you head north from the jump park you’ll link up with the easier trails, and to the east, one of the most advanced routes in the city. Bostjan put his skills on display on the expert route with switchbacks down the hill. Each tightly banked turn had a jump soon after. The track utilized natural features like boulders and some human-assisted rock garden –stretches of track covered in rock.. I read later this route is considered double-black diamond, Hellfighter. It’s easy to underestimate difficulty when watching a master at work. After the show, we rode over to sample some of the intermediate trails. Despite some patches of litter, the trails were well maintained and marked. There were a variety of uphill and downhill runs –”climbs” and “descents” in MTB terms – with varying degrees of difficulty. In summer, the hill’s canopy masks the skyscrapers, bridges, and cars, lending a surreal feeling that you’ve left the city for your own personal adventure park. If you’re interested in watching pros in action, various clubs around the city hold mountain biking competitions on Fort George. Take a visit to the medieval-themed Cloisters Museum nearby if you have some time to kill. Take the 1 uptown to Dyckman Street. The trailhead at the hill’s base is directly across the street. 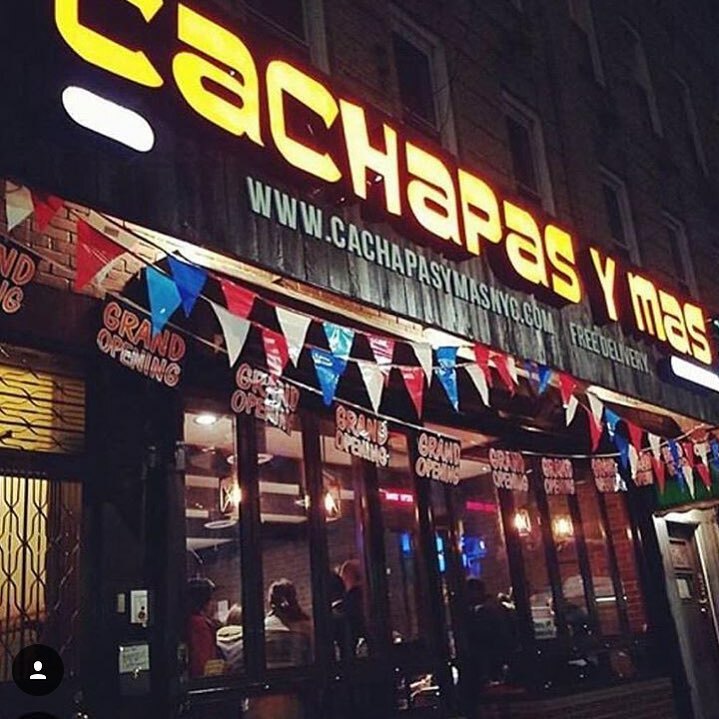 Take the Westside Highway (NY 9A) up Manhattan to and hop off at exit 17, Riverside Dr.
Unreal Venezuelan sandwiches where corn pancakes, plantains, fried cheese and regular ol’ bread act as your two slices. 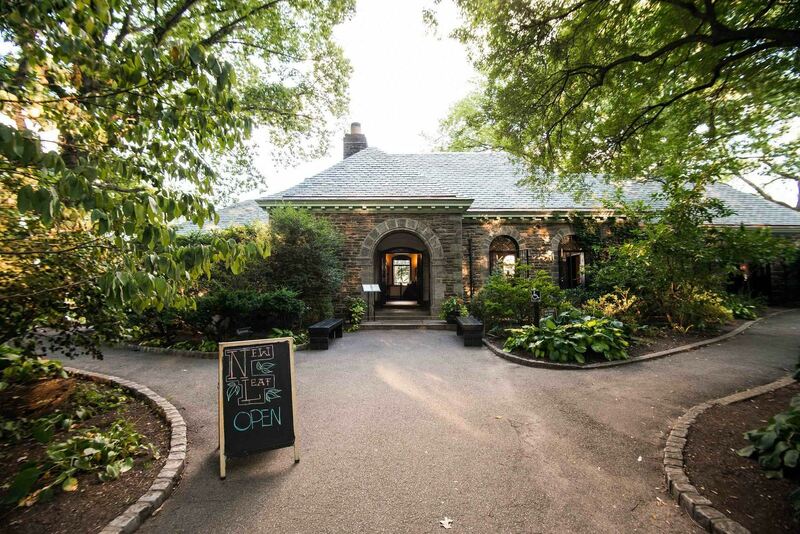 Set in beautiful Ft. Tryon Park, New Leaf elevates American fare using local ingredients. Perfect for a coffee or cocktail. Manny’s Bicycle Shop in Washington Heights has a limited selection of hardtail mountain bikes for rent, but Fort George Hill’s more technical runs are better with full suspension. Up to you! 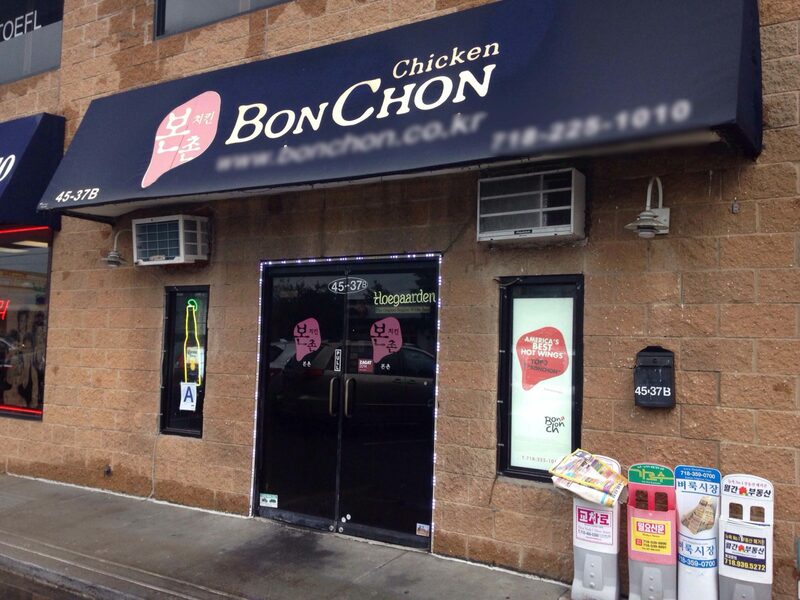 8 Bennett Ave, Inwood; (212) 927-8501. 718 Cyclery is our goto for full suspension bikes and MTB rental selection in the city. Great guys with a wide selection for your needs. Cunningham Park was home to America’s first highway made for automobiles, but these days it’s mountain bikes that are blazing the park’s trails. It plays host to many sports, but the park’s North Woods trail system is built for for mountain bikes. It’s the best urban mountain biking opportunity in the city, providing eight miles of singletrack playground and 50 feet of elevation change within a relatively small area. Cunningham’s northern tip is nestled among expressways, but you easily forget you’re in the city due to its woody cover. The trailhead is clearly marked on the park’s 210th St. side. It’s not unlike a door to another world as you immediately duck into the canopy. A big advantage to the North Woods setup is its continuity and length. A loop through the trail system was an action-packed 45 minutes, but you can stretch your run as a beginner by committing to some new moves. There are a variety of manmade obstacles like rock jumps to test your proficiency, and some features will have you ducking and weaving. If you’re into speed, there’s plenty to be had in the North Woods. And of course there’s a pristine dirt park, this time specifically tailored to the MTB crowd. Mountain biking mirrors the difficulty rating of ski hills, ranging from greens (circles), blues (squares), and black and double-black diamonds. These ratings consider the grade of the track, the surface-type and track width, among other qualifiers. Locals may name, rate, mark their trails differently, but consensus on expert-level tracks is widely accepted in the community. The NYC Parks department and its volunteers deserve credit their incredible work on the city’s trail systems. GreenApple Corp – an environmental and ecological impact program– laid the foundational trails at Cunningham over the course of a year. They were guided by members of the Concerned Long Island Mountain Bicyclists (C.L.I.M.B.) and used International Mountain Bicycling Association (IMBA) specifications to reduce environmental impact. There’s an incredible community around mountain biking in the city. If you’re looking for a guided adventure through Cunningham, sign up for a three hour lesson with Bike Hike Tours. Bikes and helmets are included, and you can use or mention the code 57hrs when booking for an exclusive $20 discount! Take the QM8 express bus and get off at 73rd Ave/210th St, a couple blocks from the trailhead. Take the BQE to the LIE and head east. At Exit 26, follow Horace Harding Expressway to Oceania Drive. Trailhead is 1000 ft from Oceania. Get treated like royalty at this family-run diner, pre- or post-trail. They make a mean breakfast and cup of coffee. Enjoy the best Korean fried chicken in the city with a tall, frosty beer. Plenty of other great options in the area, including killer Asian options. Peak Bicycle Pro Shop specializes in mountain bikes and carries quality full suspension and hardtail bike options. If you take the LIRR’s Port Washington Line to Douglaston, it’s a 20 minute bike ride to Cunningham from Peak. 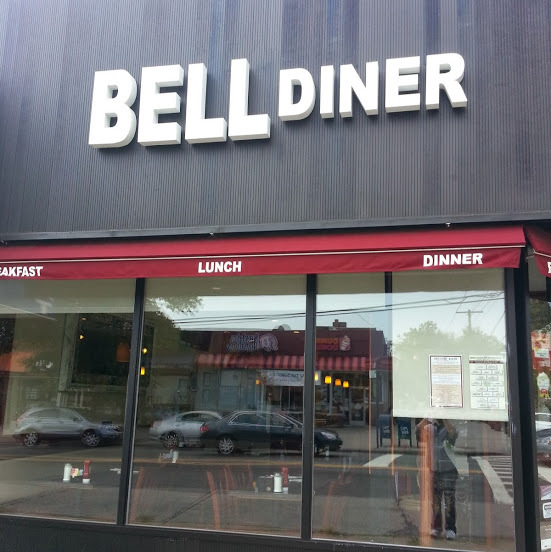 42 235th St, Douglaston, LI; (718) 225-5119. The 57hours crew listens to Bostjan’s instruction. When the word “Pleasantville” leaves your lips, it’s hard not to smile. Go ahead, try it! It’s a chill town, fiercely proud of its local mindset, it shuns any mention that it’s a city. The town hosts a big summer music festival, a bustling Saturday farmer’s market, and was the original home of Captain Lawrence Brewery, now in Elmford down the road. Pleasantville is a mountain town that happens to sit only 300 feet above sea level. In a county rich with parks, Graham Hills Park is dedicated to mountain biking. It’s wrapped in expressways, much like Cunningham, and is a quick ride west on Bedford Rd. from downtown Pleasantville. We found the park’s entrance across from Pace University on the north – a hard to miss landmark. Full suspension bikes are shock-absorbing for gnarlier obstacles like roots, rock stairs, and steep downhill runs. Hard tails, or mountain bikes with no suspension, are well suited for wider tracks or well-groomed single tracks. The trailheads began directly at the parking lot, which was a welcome convenience. A unique aspect of the Graham Hills is its two directional singletrack, which meant the possibility of meeting another rider going the opposite direction on a narrow trail. Etiquette says the rider going uphill has the right of way, and a friendly holler to alert another rider of your presence is always welcome. Graham Hills favors riders with a few MTB runs under their belt. Every 50 yards of track required quick thinking, a tight squeeze, or a challenging climb or drop. Beginners are often surprised by the upper body strength required while mountain biking, and Graham Hills tones your arms by the end of your ride. 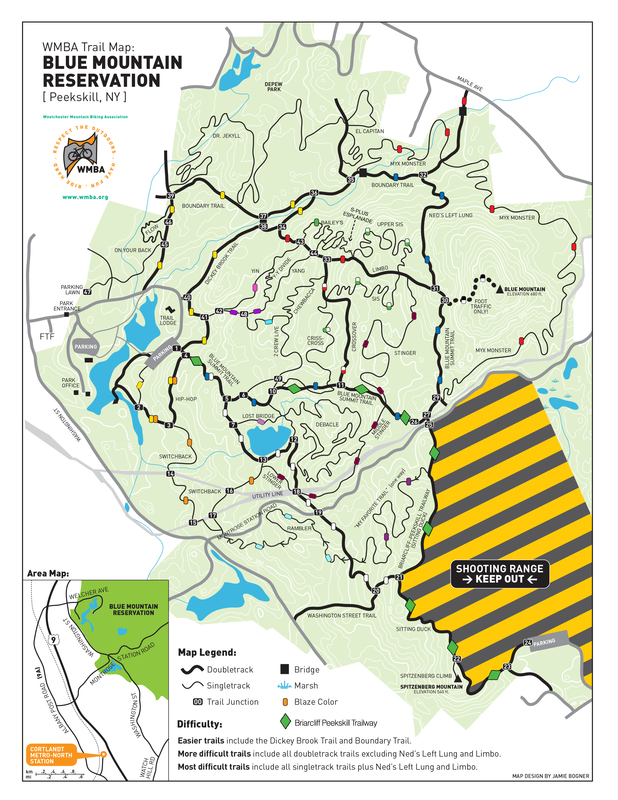 The park features speedy descents, but be on watch for conditions ahead. It took little over an hour to explore most of the park’s seven miles of track, but you could easily stretch it to an afternoon run. If you have some time to spare, try a tasting at one of Pleasantville’s wineries or explore any of Westchester County’s numerous, beautiful parks. Take the Metro-North’s Harlem Line to Pleasantville. There’s a $5 fee to bring your bike on the Metro-North. Take the Saw Mill River Parkway north to Exit 26, Taconic Parkway. Immediately after the merge take the first exit, 117. 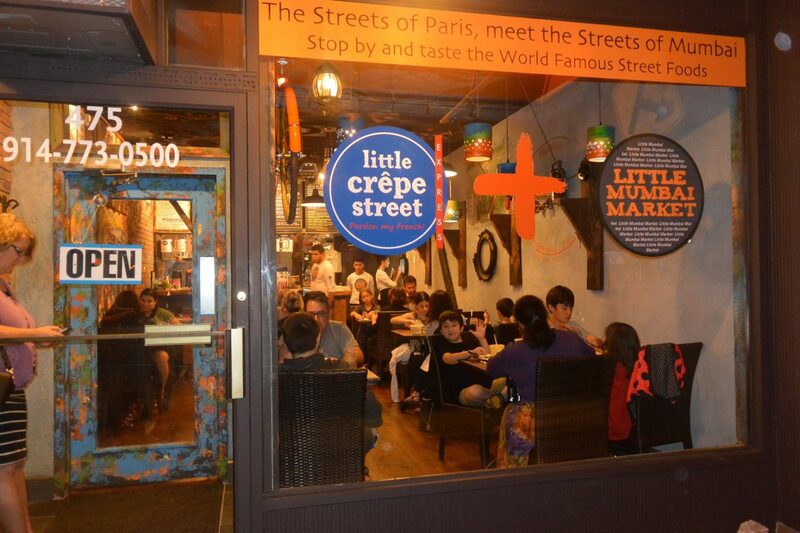 A market-y, bistro-y marriage of Indian and French cuisines has something for everyone. Delicious with a great beer selection. Pizza and beer are regular outdoor recovery meal, but W&F takes it up a notch. 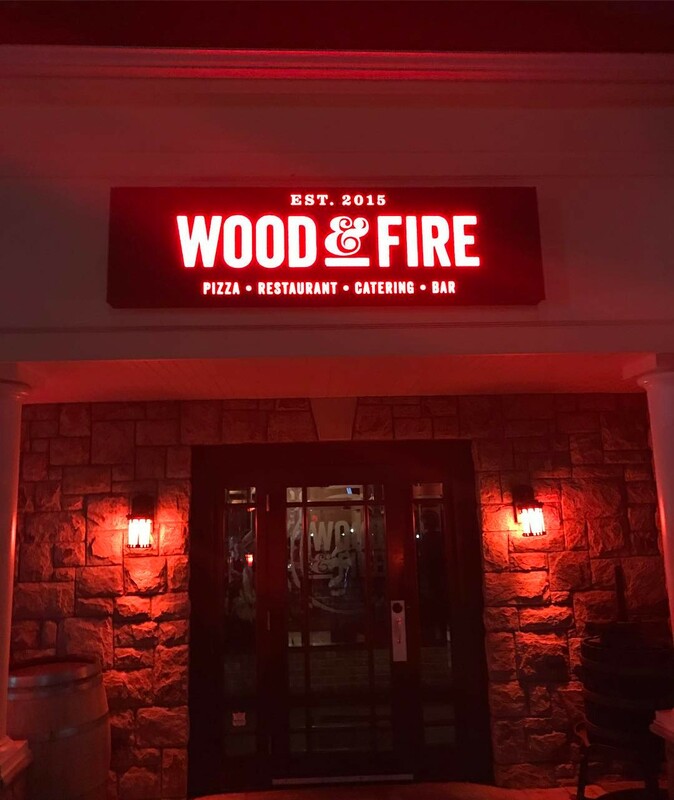 Excellent wine list with gourmet pizzas and pasta. Ride of Pleasantville offers a wide selection of and demo bikes to rent, including full suspension options for Graham Hill’s bumpy rides. 351 Manville Road, Pleasantville; (914) 495-3666. Most of NYC’s MTB trails require full suspension bikes. If the goal is advancement and a break from the city, it’s hard for mountain bikers to resist the call of upstate New York. If you head north along the Hudson River by car or train, it’s an hour and a half to reach one of the best mountain biking experiences in the entire Northeast – Blue Mountain Reservation near Peekskill. 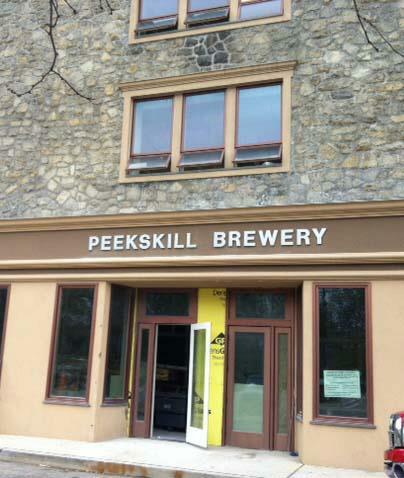 Established in the late 1600’s through an agreement with local tribes, Peekskill is ancient by American history standards. It’s a great location to take a day – or weekend – to explore the best the Hudson has to offer, including a nice hike across the river at Bear Mountain. Local volunteers with the Westchester Mountain Biking Association (WMBA) watch over 20-plus miles of MTB-ready trail at Blue Mountain. Challenging singletrack routes spider between main paths which establish the trail system’s perimeter. There is a decent major elevation change as you ride toward the park’s eastern border. You’ll want a whole day to explore, and you can always return to tackle it all. Due to its many natural hazards, MTB can be a dangerous sport even when you’re riding at your skill level. A helmet is an absolute must. Bring plenty of water, some protein bars, and a high energy snack like a piece of fruit. Otherwise, dress light and tight in preparation for moderate to strenuous exercise. Parts of the park were suitable for beginner growth, but Blue Mountain leans toward intermediate and advanced. Most of the runs featured rocky terrain, but there were plenty of “flow” or “pump” trails – momentum-heavy rides with minimal pedaling. A feature unique to Blue Mountain are its huge boulders to ride over, called “big rollers” in the community. There’s also a shooting range on the park’s southeast border, so stick to the trails at all times in that area. Blue Mountain is close enough to the city to visit regularly, but far enough to get a true taste of what mountain biking is in a full outdoor setting. It’s free to walk and bike onto, and $10 for a day for out-of towners to park. A tremendous value for the day. Take the Metro-North’s Hudson Line to Peekskill. There’s a $5 fee to bring your bike on the Metro-North. Take Saw Mill River Parkway and follow it to exit 26, Taconic Parkway. Immediately after the merge take the NY-100 N/New York 9A N exit, and follow 9A until it becomes 9 at Croton. Exit at Welcher Ave in Peekskill. Pub food and great beers right outside of the park. A popular joint with locals and day-trippers alike. 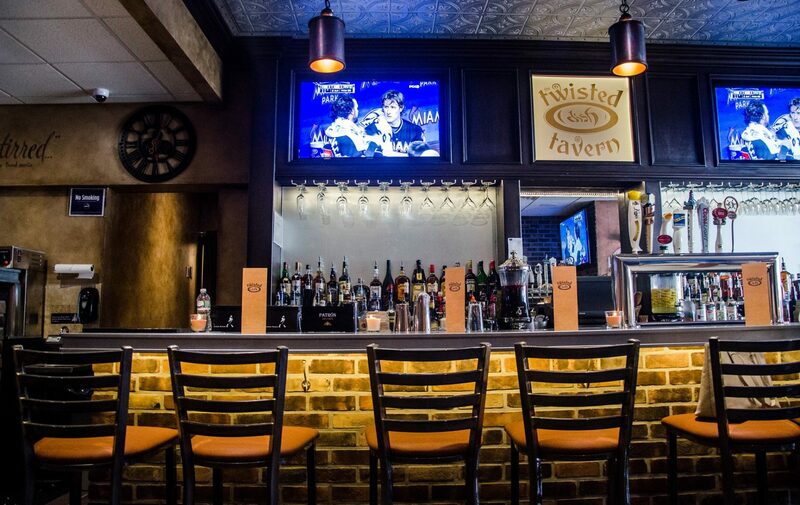 Upscale pub fare with plenty of salad options. Sample their house-made brews and take home a growler of your favorite. Pedal Peekskill is well prepared for visitors to the local park. Plenty of full suspension options for all ages to rent. $89 for the day. We hope you make time to mountain bike New York this year. Each park is less than two hours from the heart of the city, and an easy ride once you figure out logistics. Looking for more comprehensive outdoor adventure guides? Give our “where to start” articles on climbing and surfing a read!